Kimi Raikkonen, the least garrulous of Formula One drivers, is the man everyone is talking about ahead of Sunday’s Belgian Grand Prix at his favorite Spa-Francorchamps circuit. Red Bull’s Sebastian Vettel may be well on his way to a fourth successive title, with four wins already and the second half of the season favoring him in the past, but Raikkonen’s future has hogged the recent headlines. The Finn started the August break as a favorite to join Vettel at Red Bull next year but now the chatter is about a different shade of red and a possible surprise return to glamour team Ferrari if he does not stay with Lotus. Raikkonen, champion with Ferrari in 2007 before making way at the end of 2009 for Spain’s Fernando Alonso and taking two years out of the sport, is being touted as a replacement for Brazilian Felipe Massa. The Finn’s manager Steve Robertson has ruled out Red Bull and said Ferrari are an option, even if Maranello has remained tight-lipped, and whatever the reality Spa is sure to give Raikkonen the stage to impress. Few have any doubt about what he can offer, with the 33-year-old second in the standings, 38 points behind Vettel and chasing a record 28th successive scoring finish. Spa, a layout steeped in history with the stomach-wrenching slingshot through Eau Rouge and the longest and one of the fastest laps on the calendar, has been good to Raikkonen over the years come rain or shine. The ‘Iceman’ has won there four times with McLaren and Ferrari and, after five second places this season following his season-opening victory in Australia, is gunning for another visit to the top step to boost his title challenge. “There are certain circuits where everything seems to run smoothly and then there are other circuits where I have no luck at all,” he told the team website (www.lotusf1team.com). “Of course we will do our very best to win this race. One of Raikkonen’s memorable Spa wins was with McLaren in 2004 in what was that team’s only victory of an otherwise barren year. His 2009 triumph for Ferrari was similarly face-saving as that team’s sole success of the year. 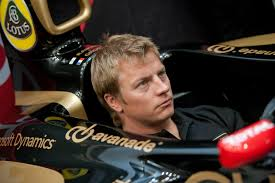 Until last year, when Raikkonen was third, he had either won or failed to finish every time he raced at Spa and he can still boast that he has been on the podium every time he has seen the checkered flag there. Alonso, a point behind Raikkonen in third place, has never won in Belgium but needs to do so more than ever with Ferrari’s challenge struggling to get into gear with nine of the 19 races remaining. The Spaniard’s team mate Massa, victorious in Belgium in 2008, has not reappeared on top of the podium since the end of that year. Lewis Hamilton – who took his first win for Mercedes in Hungary and is now 10 points adrift of the Finn – triumphed at Spa in 2010 and the 2008 champion will be chasing his fourth successive pole position of the season. A second victory in two races would put the Briton right back in the title chase. “On paper, Spa is a circuit that should suit our car and Nico (Rosberg) and Lewis will be at their best on a real driver’s circuit,” said Mercedes motorsport head Toto Wolff. Hamilton’s former team McLaren, who are looking increasingly like going through a season without a win for the first time since 2006, had targeted the race as their best chance but that hope appears to have evaporated over the summer break. The 2009 world champion, who has yet to finish higher than fifth in 10 races, sounded less optimistic in a team preview issued last week, however. “We don’t go to Spa with the package to win but I’ll still be making the most of every single lap around this place. It’ll still feel incredible,” he said.